The number of visitors/volunteers at the Sifting Project has been increasing year by year and also the volume of the material that has been sifted. To date we have sifted about half of the debris that is on hand. This means that we have at least ten more years of sifting. This is without taking into account the large amount of dirt that is lying in heaps in the eastern olive grove on the Temple Mount and has not yet been removed due to a Supreme Court ruling from 2004. The sifting site continues to develop, and recently we have installed new permanent restrooms, another office for staff use, and a newly upgraded green house. Also we have expanded the seating in the introduction hall. Gal Zagdon, the archaeologist who managed the daily work at the sifting site for the past six years, announced last week that he is retiring from archaeology and will be leaving us soon. Gal will leave a large vacant space that will be difficult to fill in, and we wish him good luck in his future occupation. We will give more details about his retirement in the future. Currently, our research efforts are dedicated to sorting and analyzing the prevalent finds. We are about to complete the basic chronological and typological sorting of the one hundred thousand pottery rims we gathered so far! Soon, we will begin an in-depth high resolution typological sorting and statistical analysis of the pottery, which quite certainly will yield very interesting information and knowledge. Already now, we are gathering valuable information from the basic sorting of the pottery. It appears that we have evidence of the presence of activity on the Temple Mount during the Middle Bronze and Late Bronze ages. Although the number of pieces of pottery from these periods is small, they should not be neglected. There is also clear presence of activity during the Iron IIA period (the time of Kings Solomon, Asa, Jehoshaphat and Joash), during the time between the two Jewish Revolts against the Roman (70-132 CE). The Byzantine period pottery appears in abundance, and from the Early Moslem period we have evidence of pottery production. The analysis of the coins is in its final phase, and it appears that we are have recovered some very rare coins, including a – Crusader gold coin, ours being only the second of its type found in the world. 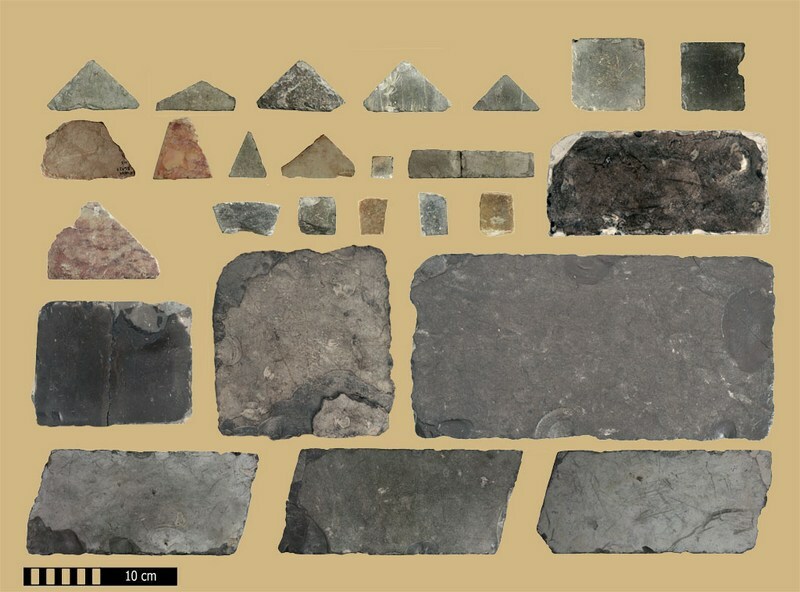 In addition, the study of the following subjects are close to being completed : opus sectile floor tiles, arrowheads, horseshoe nails, construction nails, roof tiles, bone objects, glass bracelets and rings, beads, stone vessels, and glazed wall tiles. We are beginning to see the light in the end of the tunnel. Recently, several unique and interesting finds were discovered, but it is difficult to give more details about them at this stage, since they require further in-depth study. But among these are bullae with Greek inscriptions (one from the Hellenistic period and the second is probably Byzantine), Late Bronze scarabs and scarabs impressions, unique anepigraphic bullae, a rare bronze arrowhead that seems to date to the Iron Age I-IIA (the Jebusite period until the time of King Solomon), stone weights from the First Temple Period (which may give us new information regarding the standard weight of the “holy shekel” that was used in the Temple), fragments of architectural elements from the time of the Hasmonean and the Herodian dynasties, many Christian crosses and crucifixes made of iron, bronze and mother-of-pearl, evidence of a bone objects industry during the Late Roman period, a rare Ottoman seal of the grand Mufti of Jerusalem during the 18th century (‘Abd al-Fatah al Tamimi), and British military insignia. The things mentioned above are just a small glimpse of the great abundance of finds we managed to gather during the sifting so far, and the research work is long and tedious. This is the reason we do not publish more frequently and with more details, so we apologize for that. As the research has advanced, the time necessary and the number of tasks to be completed have significantly increased, so we are now working on further fund raising for the research and publication tasks. In addition, we continue to give sifting services to other excavations, and recently some very exciting finds were discovered during our sifting of the material from the IAA excavations in the City of David, which will be published by the IAA excavators in the future. Only last week we received a large amount of dirt from the renewed excavations in Lachish directed by Prof. Yossi Garfinkel. From the finds already recovered at the field itself, it seems that the sifting of this soil will be worthwhile and promising. To date, the Sifting Project has proven to be very important for the elaboration of the history of the Temple Mount. Even now we have new information that may well change the written history of some of the periods of the Temple Mount. 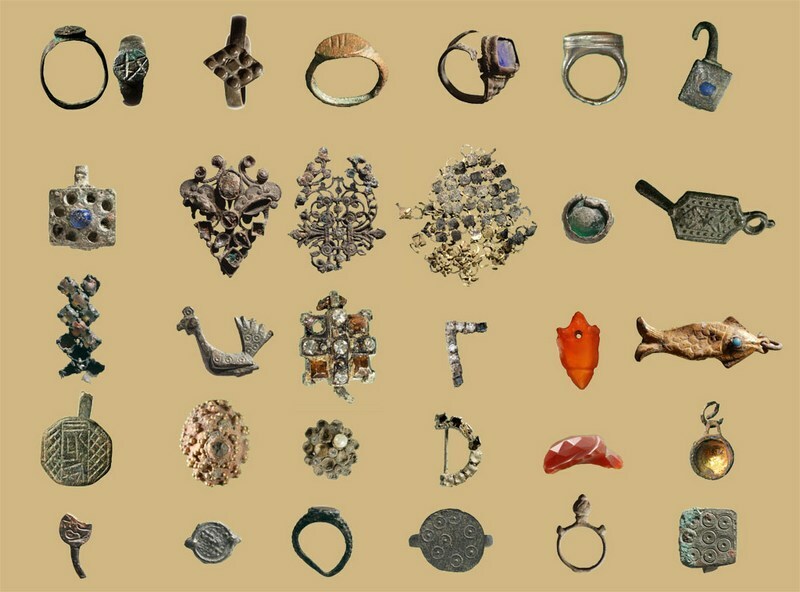 An assortment of jewelry from various periods. Will be joining the project soon.